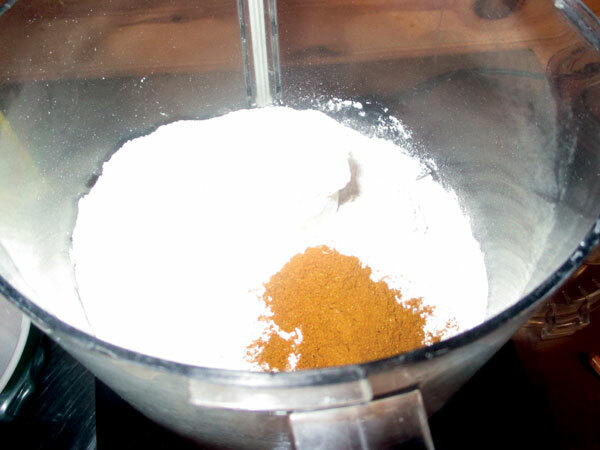 Add the dry ingredients to the bowl of your mixer or food processor. 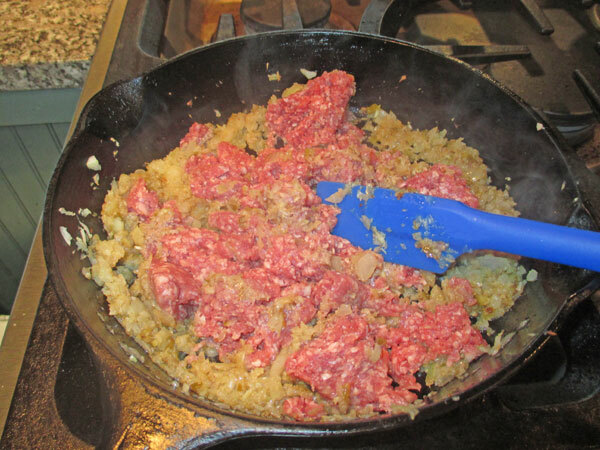 Add the butter to the dry ingredients, and pulse to combine. 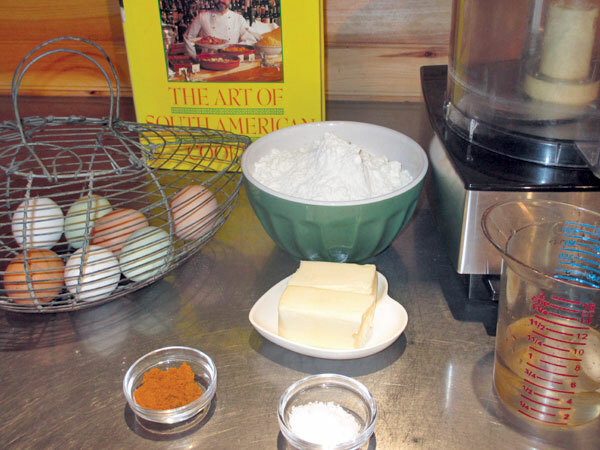 Separate the egg yolk from the egg white, reserving the egg white for the glaze. 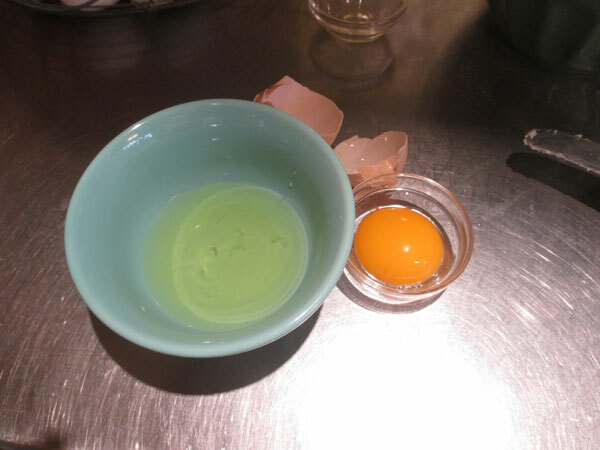 Add the egg yolk to the mixture and combine until mixture resembles a coarse meal. 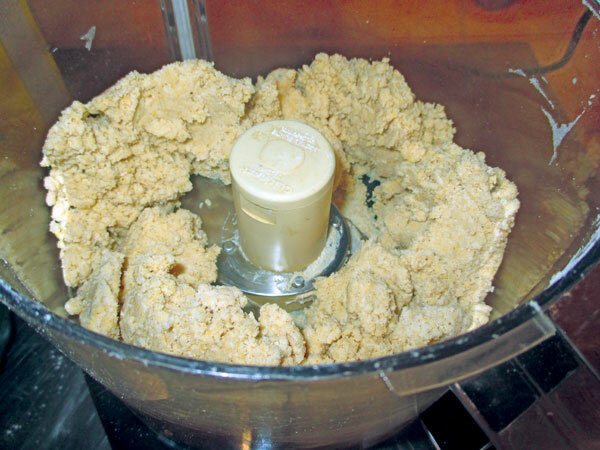 Add the iced water, a small amount at a time and combine until the dough forms a ball. Soak the raisins in the rum until plump, about 20 minutes. 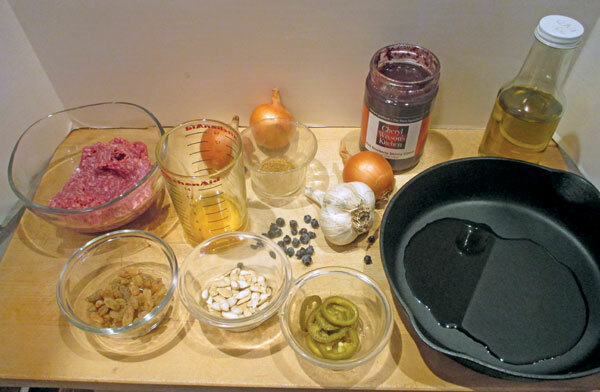 Heat the oil in a sauté pan. 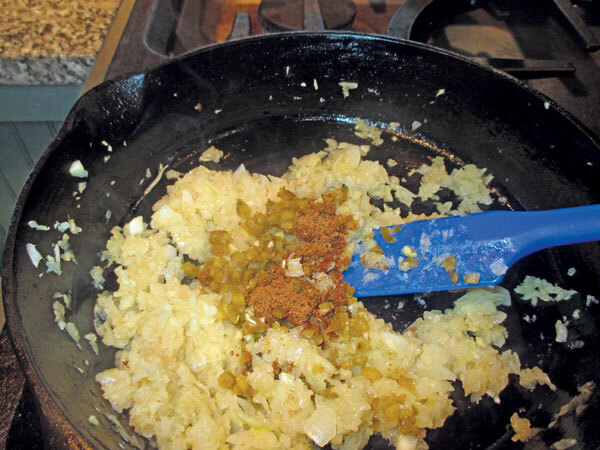 Add the garlic, onions, jalapeno and cumin, sautéing until the onion is soft and the mixture is fragrant. Stir in the ground lamb and continue cooking and stirring until the lamb is thoroughly cooked, about 10 minutes. 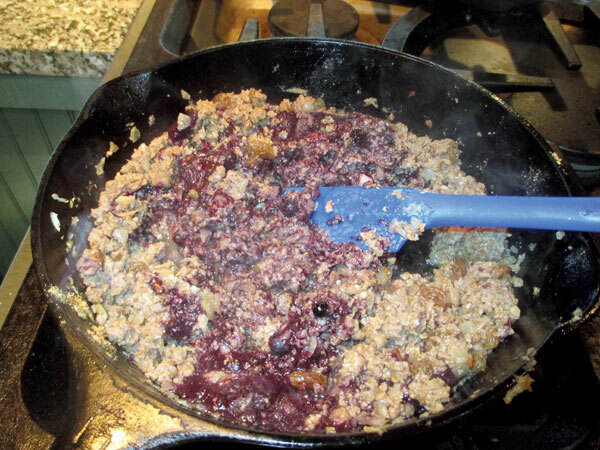 Add the raisins with the rum and simmer until the rum has evaporated. 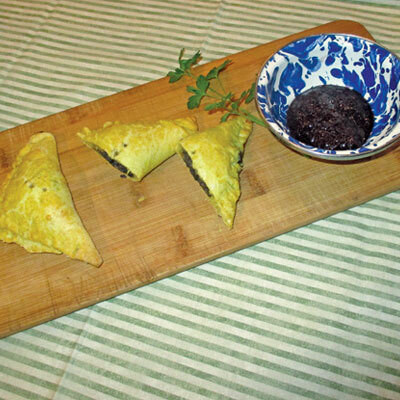 Stir in the wild blueberry dipping sauce, groundnuts or seeds and chopped parsley. 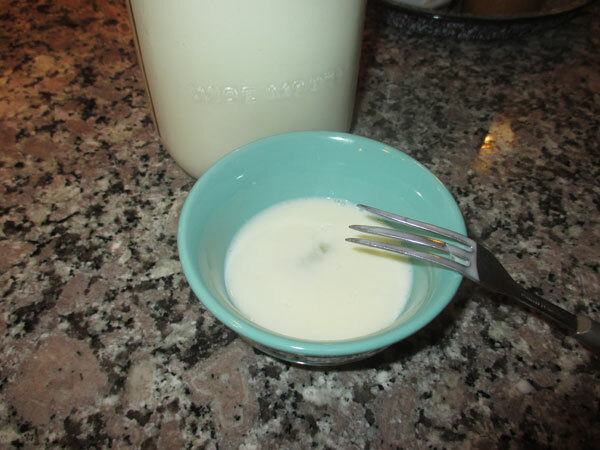 Prepare the sealer and glaze by whisking the egg white with the liquid. 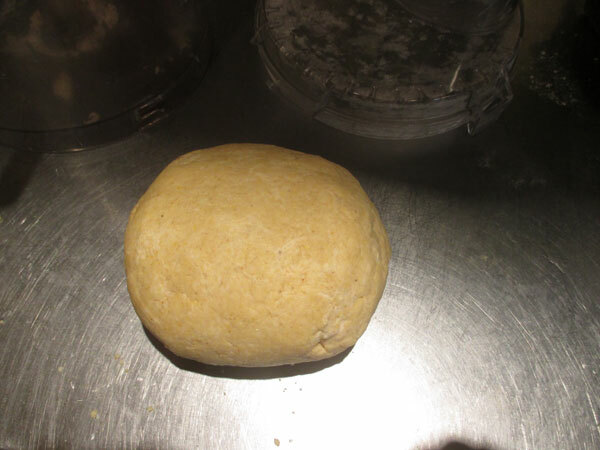 On a well-floured surface, roll the curry dough into a 16-inch square, about 1/8 inch thick. 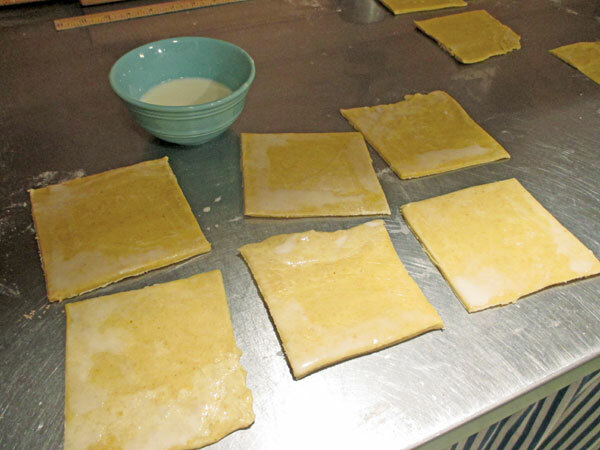 Cut the dough into 16 squares. Brush the edges of each square with the sealer. 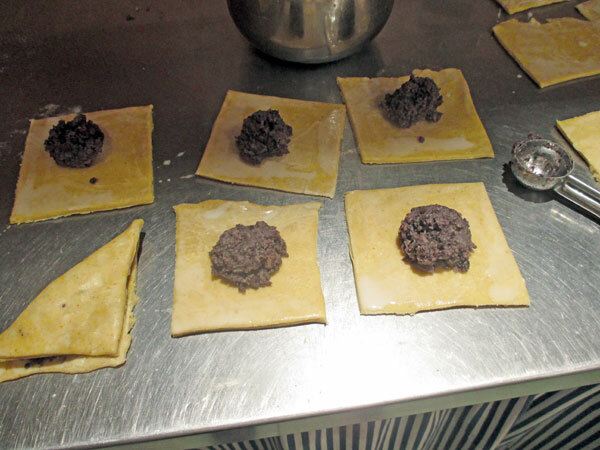 Add about 1 ounce of filling to each square. 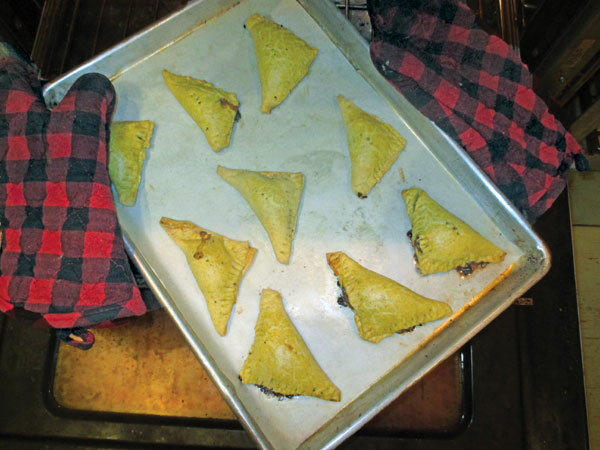 Fold the dough over to form a triangle. 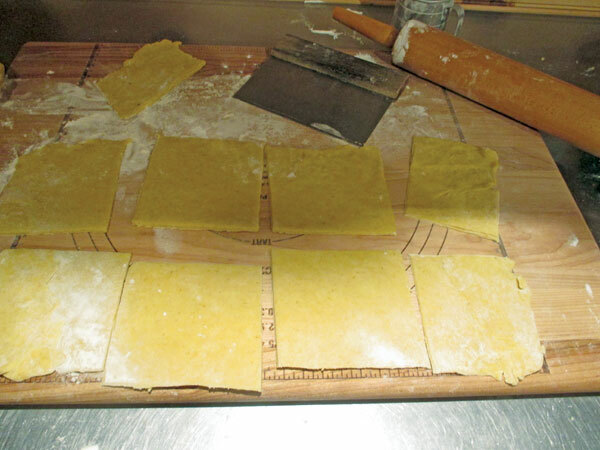 Seal the edges and crimp with a fork. 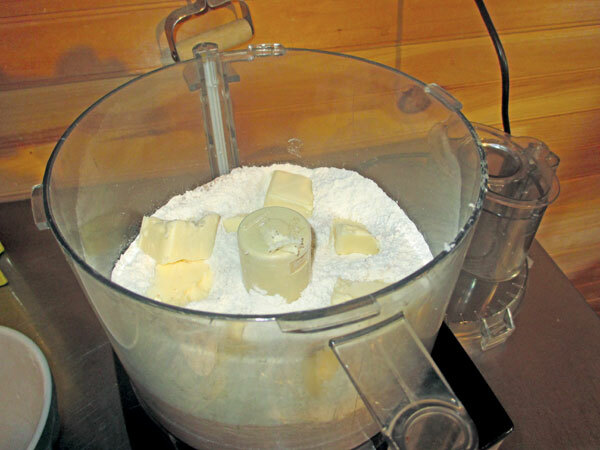 Repeat for the remaining squares of dough. Cut a slit in the top of each one and place on parchment paper on a sheet pan. 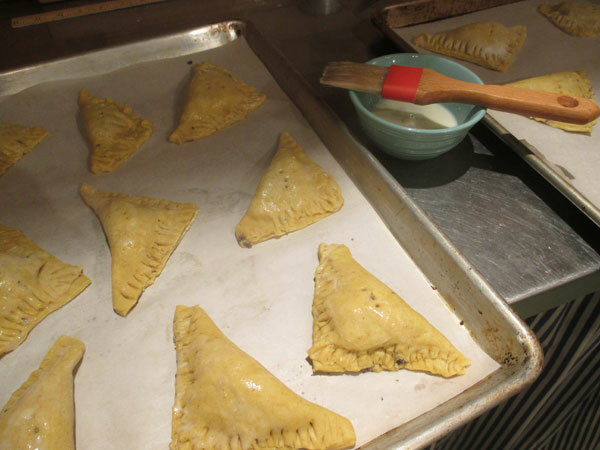 Brush the tops on the empanadas with the egg glaze. Let cool on a rack and serve warm. 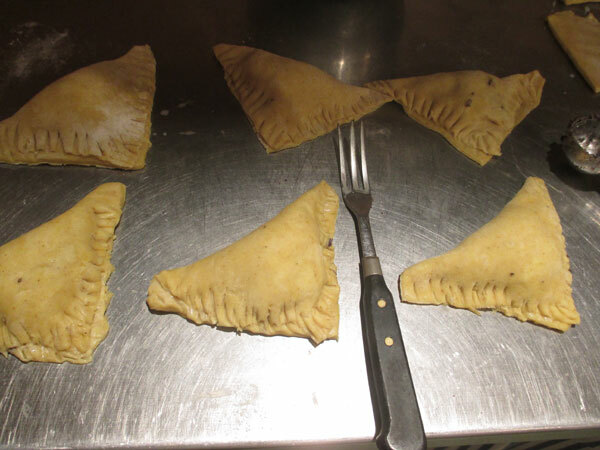 Chef Cheryl’s notes: These unbaked turnovers freeze well, brush with glaze when removing from the freezer. I used pumpkin seeds in the filling, ground hazelnuts would be delicious also. Nutritional analysis per empanada (approximate): 230 calories, 6 grams protein, 21 grams carbohydrates, 14 grams fat, 64 mg. sodium, 1 gram fiber.